Home » Blog » Think a cycling vacation is too outside the box? Bike Tours are for Everyone! Think a cycling vacation is too outside the box? Bike Tours are for Everyone! Bike tours are for everyone! Are you the kind of vacationer that goes to the same place every year? Or do you always take the same kind of vacation? Maybe you like to stick to the beach or big cities? For 2019, we’d like to suggest you think a little outside the box and plan a cycling vacation! Think maybe it’s not for you? Maybe you don’t think you’re young enough or active enough or maybe you don’t think you can talk your family into it. We’ve got you covered! After all, bike tours are for everyone! Think you’re too old for a bike tour? With all due respect, that’s nonsense! Each and every tour we offer is custom. If you’re worried about the length of a tour or the physical effort required, we can build a tour to suit you. We can go shorter in the Dordogne or longer in Tuscany. We can build in rest days. Rest days are wonderful for exploring a village, checking our local markets and shopping or taking advantage of other activities. In Burgundy, we can recommend a wonderful cooking class. You can find more information on the class here. Also, we can always work to find you a tour that easily accommodates an eBike for those worried about the fitness or those who want to see more while on their cycling vacation. CLICK HERE to read more about our top tours for seniors! Think you aren’t strong enough for a bike tour? Again, that’s nonsense! There are several tours that avoid steep mountains and strenuous climbs. We also have tours that accommodate eBikes to give you a boost if you’re worried about keeping up with your vacation buddies. We can start with a relaxed itinerary and add in more aggressive routes for the more advanced rider in your group. Rest days can be built in for you while your friends head out for another day in the saddle. Rest days are perfect for cooking classes, shopping, spas and exploring the local culture. Again, our tours are customizable so we can build a vacation that truly suits your interests. Think you’re too strong and won’t be challenged on a bike tour? Absolutely nonsense! Some of the climbs in our tour packages challenge the most fit riders in the world. Mt. Ventoux, the French Alps and the Pyrenees are all sure to challenge and maybe even humble you. 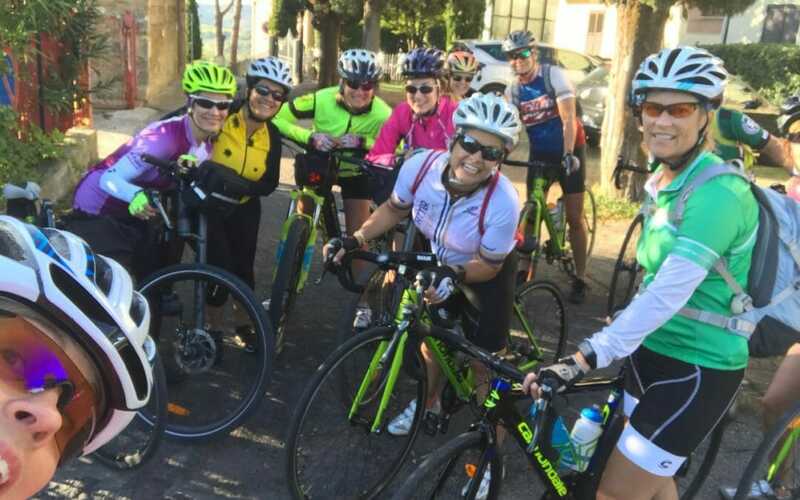 We can build a tour that is sure to fit in to your training program and will make all your buddies back home jealous. Plus, most of our aggressive routes have some spectacular views from some incredible summits! CLICK HERE to Read More about our best bike tours for advanced riders! Think a bike tour isn’t a family activity? Can you guess? Yes, we think that’s nonsense too! The OBT family is no stranger to kiddos and we love when they are a part of the adventure. We do recommend the youngest age for a rider to be 13 so you can get the most out of your cycling vacation. 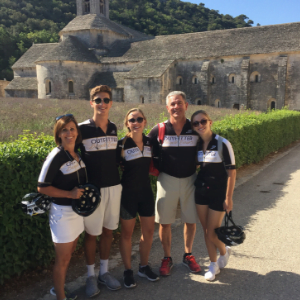 So as long as you’re okay with traveling with teenagers, we can – and would love to – help you build the perfect bike tour for your family. We can recommend and set up activities that speak directly to your kids’ interests. We can even help with restaurant suggestions. CLICK HERE to read more about our top tours for families with young riders! Remember, these tours are not all about the bike. We love to explore local cultures by wandering in ancient churches, ambling through markets and meandering down cobblestone streets in historic villages. We also love to spend time with loved ones and there are few better ways to grow closer than traveling by bike. No matter your circumstances or interests, we can build a tour to suit your needs!